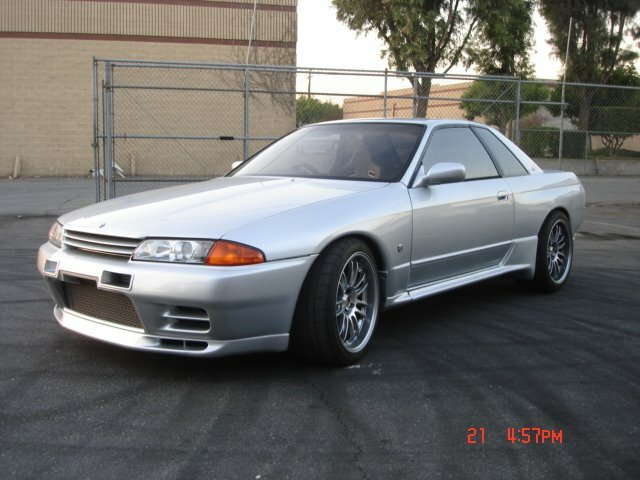 In 1992, Nissan Skyline GT-R chassis codes - VIN numbers- started at chassis number 215654, or BNR32-215654 and went to chassis number BNR32-223298. Although FAST and one other reference differ. Total of 7229 cars paint codes pulled for 1992, and KH2 was the majority again with 37% of the cars being gunmetal. Second this time, 326 - white with 22%. Third was KL0 silver with 17%. Fourth 732- black with 12%. Fifth Red - AH3 with 8% of the total cars. TH1 blue - 3%. The special order BL0 was on 1% of the cars, or 53 cars that we pulled records for.